Grab your little one's attention with the eye-catching Bold New World baby mat. High-contrast colors and patterns make it easier for baby to focus on her surroundings while her eyesight develops. 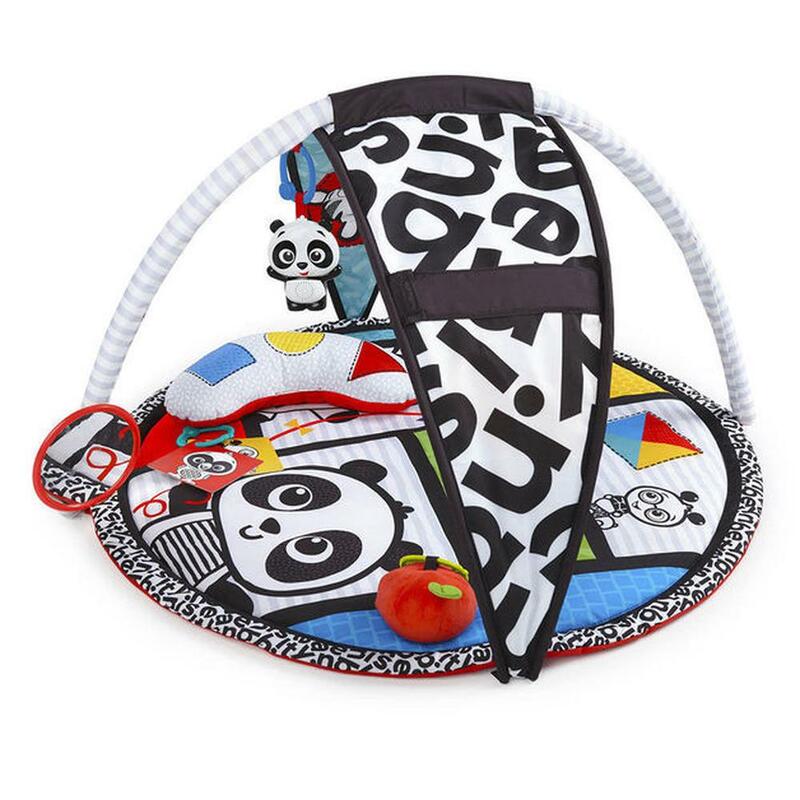 The adjustable canopy can be moved to baby's level, making tummy time more comfortable and fun. And the plush prop pillow gives baby the support she needs as she checks out all the engaging patterns and shapes around her. Hide and reveal toys, like the magic apple that turns inside out, keep baby curious, surprised and delighted. As baby grows, so does the play gym. * Flip the canopy to reveal a whole new side of bright colors, or adjust it for different ages and stages. * Lower the canopy to baby's eye level during tummy time, create a colorful sky overhead during lay and play on baby's back, or move it anywhere in between during sit and play time. * Move around the take-along toys so they're always in baby's reach no matter the play position. * Watch your little one's eyes fill with wonder as she explores a mat filled with fun surprises.